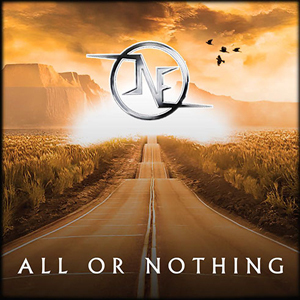 Fast-rising heavy rockers, ONE, have just unveiled their fourth studio album overall, All Or Nothing. The Montreal-based band - which is comprised of Danny Rossi (vocals), Chris Staniforth (guitars), Phil Hardy (bass), and Sean Pothier (drums) - returned to work with producer Kevin Jardine (SLAVES ON DOPE, Darryl ‘DMC’ Mc Daniels), who has produced the bands last three albums. The single, “Am I Beautiful”, preceded the album’s release, for which a music video was filmed. “We just do what we feel is right in the moment” adds Staniforth. “We shot a video and put the song out there. The reaction was great, so we got everything ready and put out the album.” The "Am I Beautiful" music video can be viewed on KNAC.COM HERE.